Davidoff of Geneva Opens Its First Cigar Bar is Las Vegas With Luxurious Amenities. Zino Davidoff, the founder and successful business man and entrepreneur of Davidoff of Geneva, began with the most humble of beginnings as the son of tobacconist immigrant father, Henri Davidoff. After the family emmigrated to Geneva from Kiev, in the early 1900’s, their legacy began with a small tobacconist shop set up in Geneva Switzerland. Many years later, Davidoff of Geneva continues to be a world leader in fine cigars, tobacco products and accessories. From the early 1900’s to the present, the quality and quantity of this visionary businessman continues with a brand that is well known nationally and internationally as a world leader in quality and excellence for the cigar aficionado and novice alike. Davidoff of Geneva can be found in nearly every major American city, and Las Vegas is the perfect place to showcase superb cigars to the thousands of tourists that converge on Las Vegas Boulevard. With small storefronts and kiosks located in the Paris Hotel, Venetian Resort and Casino and the Grand Canal Shoppes, MGM Grand Hotel and Casino, and the Mandalay Bay Resort and Casino, the brand is well known and popular among those who want to relax and indulge in a fine cigar or tobacco product. We had the opportunity to sit down with Managing Partner, Matthew F. Acrella, as we were eager to discover the impetus behind this elegant new venue that will again carry on the legacy of Zino Davidoff in a stylish and relaxed atmosphere. Featuring amble comfortable seating along floor to ceiling windows, with a spacious outdoor patio that provides an excellent space for people watching , this venue also features a full center bar showcasing high quality spirits, and a full bar menu. The walk-in Humidor is the place that guests can select from the extensive collection of cigars ranging from ten dollars to sixty dollars. There is the special selection of cigars that can range in the hundreds of dollars, but overall, pricing is kept competitive with strip pricing. As we spoke with Mr. Acrella on the newest Davidoff of Geneva cigar bar located aside the Fashion Show Mall along Las Vegas Boulevard, we were inspired by his vision and enthusiasm for his newest and most unique Davidoff of Geneva venture. “This is the best thing we have going for us. Every person that comes in here is blown away by the service, the offerings, the location, and the design. We hope to get more people in here and knock on wood we will since we have been so well received. In Vegas, this place that should be here and needs to be here,” stated Acrella. Cigar bars have a tendency to be uncomfortabley smoky, but with the newest and most advance state of the art ventilation system, the smoke will not have you hanging your clothes out the hotel window after a visit. “We want smokers to be very comfortable here but we also want non-smokers to be comfortable, “added Acrella. Although Acrella believes that this concept is one that will eventually be replicated, he is focused on making sure that this Cigar Bar is well established and running smoothly before moving forward on any new accounts. Because this is a standalone business, he is able to market it to the area Casinos, and being directly underneath the sky bridge from the Wynn Hotel, this is the perfect location to sit, smoke and sip. This may be a great “Daddy Day Care” for the spouses and boyfriends that need a break from Holiday and year round shopping expeditions located in the adjacent Fashion Show Mall. Whether taking a break from shopping, or relaxing with friends after a show, Davidoff of Geneva Cigar Bar is the perfect place to enjoy a cigar and a cognac or a cocktail. The knowledgeable staff will make even the novice feel comfortable. The cigar ambassador, who undergoes extensive training in cigar knowledge and production, will bring your cigar to you, present it, cut it, and light it for you. “The humidor is so cool, and people really enjoying going in and selecting their cigar. The cigars are not behind a glass case, giving the customer the ability to select the right one. And then, we wanted to create that experience for our customer, where we bring back that old school, table side presentation,” said Acrella. 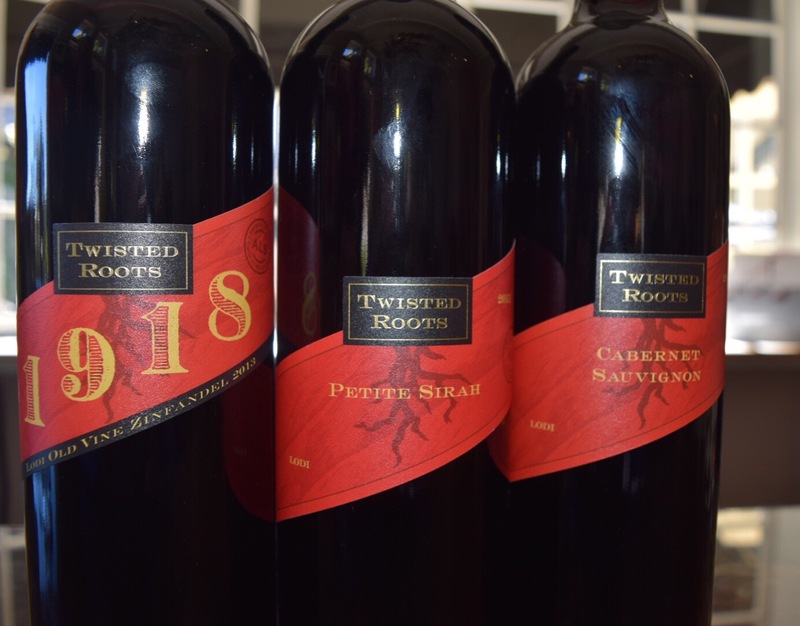 Twisted Roots Wine Is A Family Affair with Passion In Every Sip. One of our favorite places to visit is the Central Coast of California. With its beguiling cypress pines, and undulating pounding surf, the Central Coast has been alluring artists, writers, and countless vacation goers for decades. What is a stand out in this pristine region of the country is its ability to maintain a vibrant agricultural and viticulture climate, amid the thousands of people that venture into the area on a monthly basis. Just a short drive inland, the Salinas Valley boast the “lettuce bowl capital of the world”, as it is the number one agricultural region of the United States, contributing 8.2 billion dollars to the local economy. This vast wine growing region supplies the nation’s most premium grapes in North America and there is no shortage of wine tasting rooms with world class wines waiting to be tasted and purchased. While on the coast, the fishing industry is still providing the freshest seafood for the Valley. On this journey we were taking a few days to return to Carmel by the Sea and Monterey, to indulge in some of the county’s most glorious bounty and have a few glasses of exceptional wine to go along with the plethora of great dishes to be had on the Central Coast. 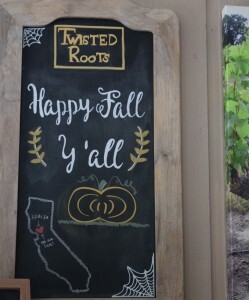 Our first stop was to a more unusual outpost; a tasting room known for showcasing Lodi wines; Twisted Roots. 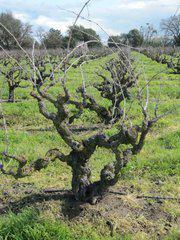 Wait a minute, a tasting room in Carmel Valley showcasing grapes from Lodi? 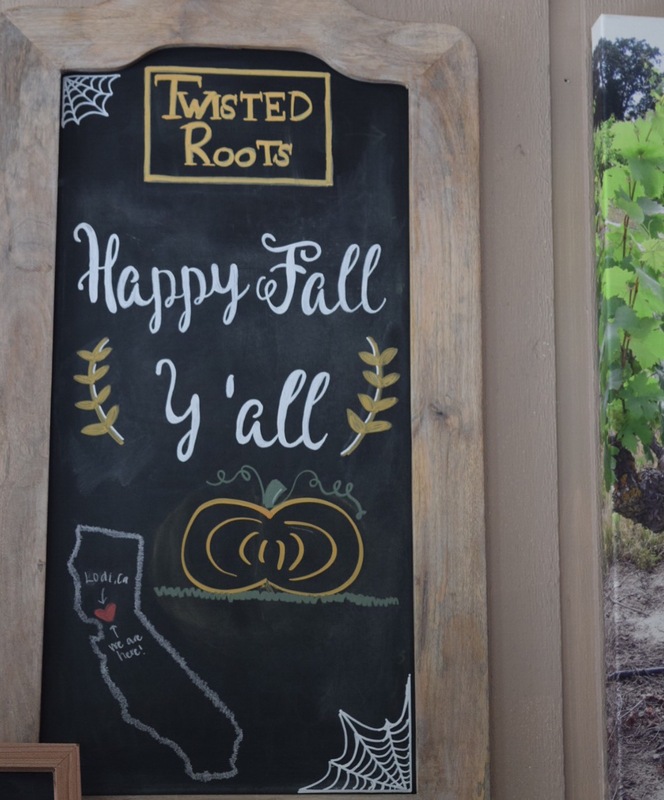 We found out the answer to our question when sat down with the owners of Twisted Root winery to find out more about their grape growing story. Josh Ruiz, a farmer in the agricultural business fields is now working in the vineyards of his family’s historic property in Lodi California. Ruiz was more than willing to elaborate on his family story and to share in the wines that are now a byproduct of his passion and knowledge. We quickly learned that his deep love of farming is now translated into making great wines. 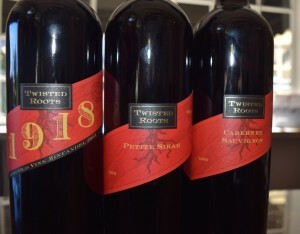 Twisted Roots now has proven their ability to produce outstanding wines with medals won in the following S.F. Chronicle Wine Competitions. In 2014, the Cabernet Sauvignon (2011) won a coveted gold medal, followed by the 2011 and 2012 Petite Syrah and the 1918 Old Vine Zinfandel garnering silver, while 2012 Chardonnay won a bronze medal. His love for farming the vineyards is evident in these award winning wines. 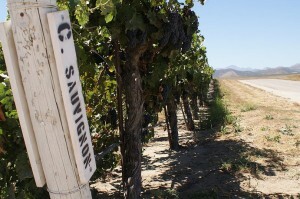 All the wines are certified “Green”, using sustainable farming practices throughout the vine growing process. “To be real honest, I love to talk to folks on the weekend that come by our tasting room”, stated Ruiz. “My goal is not to make thousands of cases, but enough to have my hands in the business. We went from 45 cases to bottling a little over a thousand bottles last year”. His favorite varietal is Petite Syrah and he poured us his 2012 vintage. He looks for the overall flavor of the grapes, not necessarily abiding by the standards of how and when things should be done but has come to rely more upon his farming instincts. The 2012 showcased the dark fruit and cassis of this sometimes overlooked varietal. We also had a chance to try the 2012 Chardonnay. ” I make it very simple, very light as it is more of Chablis style”, said Ruiz. “Many California Chardonnays have a tendency to big and flashy and I think it is ok to be more delicate and light with neutral French and stainless steel with a bit of malolactic. Incorporated in 2001, three generations including Josh Ruiz, Mike Hodge and Ross Schmiedt, decided to expand the grape growing into a more sustainable wine making business. Ross a beloved friend and relative and has left the property in the care of the Luis and Julie after passing in 2014 from a lengthy illness. Ross never saw the need to make it into a full fledged wine business, but agreed to go continue the legacy with the more visionary Ruiz. Josh caught the wine vision and now is increasing the wine production and his own understanding of viticulture. 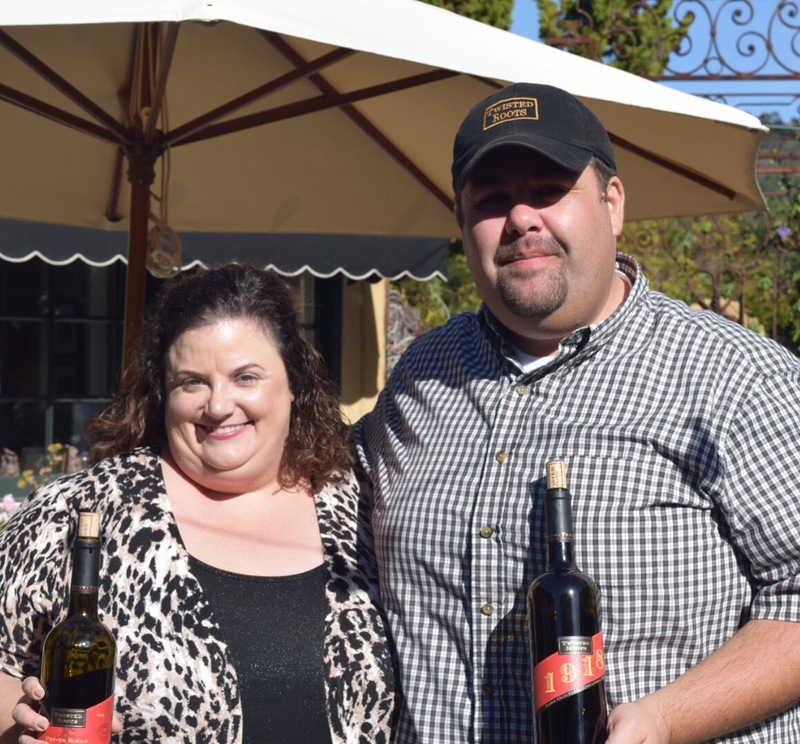 Ruiz who resides and works in the Valley, decided that the family property had great potential to produce great grapes, but no one was going to go to Lodi, so he brought the grapes and the wines to Carmel Valley.